I've been thinking a lot about this subject for quite awhile now; not only my own personal relationship, but the Church's relationship with the Holy Spirit. Personally, there has been this deep-down realization that something was missing. I prayed to God and Jesus; talked to them throughout the day; in and out of crisis situations. I praised Them and tried my best to express my worship of Them in a manner that pleased Them and glorified Them. And I remember the day that the Holy Spirit whispered, "What about me?" That began a journey to seek more of the Holy Spirit, including the Baptism of the Holy Spirit. And I know that is a difficult conversation to have with many Christians, because so many denominations don't teach that it is different than the Indwelling of the Holy Spirit. But that is a discussion for another day -- a necessary discussion, and I promise to come back to it in a future post. I just want to share the hunger that began to grow in me for that most personal of relationships; with the One who resides in my heart and communes with my spirit, and instructs me according to what the Father and the Son desire for and of me. How could I have ignored Him and turned a deaf ear to Him for so long? And how many of my fellow Christians have done [or are doing] the same thing? Let me tell you what I think has been going on in the Western Church... This is just my opinion, mind you, but I would like to share what I have experienced and have seen in the Church. For those in my close community who only know me as someone who appears to be "anti-Church", and who has endured public battles with Church leadership, and who no longer attends services every Sunday like a good Christian should, I want you to know this: For over 20 years, Mark and I were loyal members of a church; attending every Sunday (even driving 2 hours each way when we moved to a new home); members of a Sunday School class; and attending church functions, tithing, and serving when called upon. In fact, we are still close with that Church "family". But sometime around 2010, God began working on us. We no longer felt "fed" by the messages we were receiving from the pulpit of our long-time church. And, in fact, the questions that we had as we began to dig deeper for God's message in His Word could not be answered by leadership, or in some cases, we were discouraged from even asking them. It was as if our own relationship with our Creator had to match with church doctrine or we were in error. In essence, "The Church" became God, and the pastor replaced the Holy Spirit in instructing us what was true and what was not. We realized something was very wrong. If we wanted to explore any deeper truths, we had to make sure we kept the system happy, and keeping the system happy means you follow their rules. But as we read our Bibles and the way Jesus instructed His disciples to do "greater works than even He did", we were not supposed to be doing the same thing over and over [inside the building]. The system had become a machine that was stuck in one gear. We took to heart this admonition from Jesus in John 15:8 ... My Father is glorified and honored by this, when you bear much fruit, and prove yourselves to be My [true] disciples. Did you get that? It's all about bearing fruit for the Father's Kingdom on earth! Getting a pat on the back from church leaders or the members of your Sunday School class is not enough! They're not so impressed in Heaven with all the money or time you give to the church. They don't really care how well you preach or sing every Sunday. But, if your money, time, and talent produces disciples who glorify God and who go out and make more disciples who glorify God ... now, that's something that will have all Heaven applauding! So, like many of you, when we realized that we weren't meeting the criteria of a true disciple of Jesus, we knew we needed to make a change. Do we go to a different church? Start a Home Church? Or do no church at all, and just go out and do what the early Disciples did? We realized that we believe in the Holy Spirit, but we weren't really letting Him do anything in our lives. We had relegated Him to the sidelines as we tried to re-establish our tepid relationships with the Father and the Son. But here's the danger in ignoring our relationship with the Holy Spirit... We are supposed to lead Spirit-led lives! And the only way to be led by the Spirit is to be filled with Him. Ephesians 5:18 tells us to be filled with the Holy Spirit and [constantly] guided by Him. 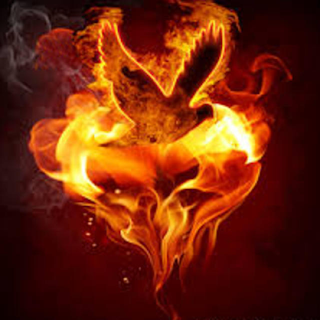 When we are actually "filled" with the Holy Spirit, He becomes the controlling influence in every aspect of our life, and He leads us into the righteousness of Jesus and living a truly holy life. How many of us can say we have reached that venerated state? How do you know if you are led by the Spirit? By "the fruit" that is evident in your life, which Galatians 5:22-23 says are "love, joy, peace, patience, kindness, goodness, faithfulness, gentleness and self-control." I can tell you that by that standard, I need to keep asking for the Holy Spirit to fill me up! And, please, do not perceive these particular verses in Scripture as some nice, warm and fuzzy words to make yourself feel good about being a Christian. Jesus said it glorifies the Father when we bear this fruit, and the evidence of this fruit in our lives is what makes us a true Disciple! It is not about our church attendance, or the success of our Home Church, or our head knowledge of Biblical concepts -- if we are not bearing fruit by the actions of our faith and being led by the Holy Spirit, then none of the rest matters! We are not glorifying our Father! We are just patting ourselves on the back and having no effect in this world. I urge you to start conversing with the Holy Spirit. Ask Him to circumcise your heart with Holy fire. Ask Him to fill you up with His counsel and His wisdom. Tell Him you want to bear more fruit from your relationship with Him. Tell Him you want Him to be in control of your life and you want Him to lead from now on. Lately, I have stopped asking God so much for direction, and have begun seeking the Holy Spirit's advice and counsel. After all, He is Jesus's replacement while we are here on earth, and just like the Holy Spirit did for Jesus, the man, He will instruct us in all the Father says to say and do. He is our direct line to the Kingdom of God in Heaven, so why would we not tune in to His every whisper? In summary, I want you to consider a revelation my wise husband received regarding the world's relationship with our Creator... in the Old Testament, the world focused on God and ignored the Son. Now, as we live out the New Testament covenant, we seem to have embraced the Son, but are ignoring the Holy Spirit... and we are paying the consequences. We must recognize our need for all three, and embrace the fullness of the Godhead. Don't waste another day before asking for the fullness of the Holy Spirit. 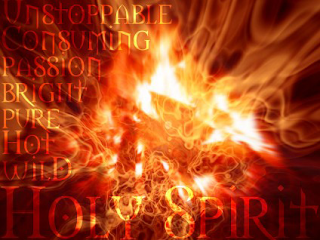 And I can hear you now [because I had the same question] ... How do I get the fullness of the Holy Spirit? All I can tell you is to ask for Him ... and keep on asking until you get what you earnestly desire. I can't tell you why some are filled to capacity with the Spirit almost immediately upon conversion, and why some spend years of asking until they are fully empowered by the Holy Spirit. I daresay that the lack of Holy Spirit power in our churches has resulted in an impotent body of saints. I submit to you that through the centuries, "the Church" has not remained faithful to the sacred trust imparted to her at Pentecost. The Apostles and the new disciples walked in a measure of power that I do not see in this church Age. We MUST begin to fan the fire of the Holy Spirit within us and keep it fueled with our obedience and desire to bear fruit for the Kingdom. Let us not be content to be "lukewarm" any longer. I want ALL that the Holy Spirit offers. I give Him control of my spirit and my life. Holy Spirit, fill me up! God is Father (the Source) of His Word Jesus brought to us by the Holy Spirit Michael whose name means is like God. The arch angel Michael is the prince of princes and is in charge of God's angels. Jesus is the King of kings and is in charge of God's people, note kings are above princes, God's people are above the angels in authority and will judge the angels. We are told to baptize in the name of God who is the Father Son and Holy Spirit. Man is in the image of God so our word comes from us which is conveyed back and forth by our angel! Are you saying the Holy Spirit is Michael? Excuse me if I am misunderstanding you, but I do not see that in Scripture anywhere. Michael, however, is called the Prince and Protector of Israel (Daniel 12:1). I don't get too caught up in the "baptizing in Jesus's Name" controversy. Acts 2:38 records the Apostle Peter’s words on the day of Pentecost, “Peter replied, ‘Repent and be baptized, every one of you, in the name of Jesus Christ for the forgiveness of your sins. And you will receive the gift of the Holy Spirit.’” This was a strong affirmation by Peter that “there is no other name under heaven given among men by which we must be saved” (Acts 4:12). Being baptized in the name of Jesus indicates an understanding by the person being baptized that Christ is the Savior. And if you baptize in the name of the Father, Son, and Holy Spirit, it is my opinion that you are identifying with them; that we belong to the Father, are saved by the Son, and indwelt by the Spirit. To be honest, this is one theological argument that I see serves no purpose.